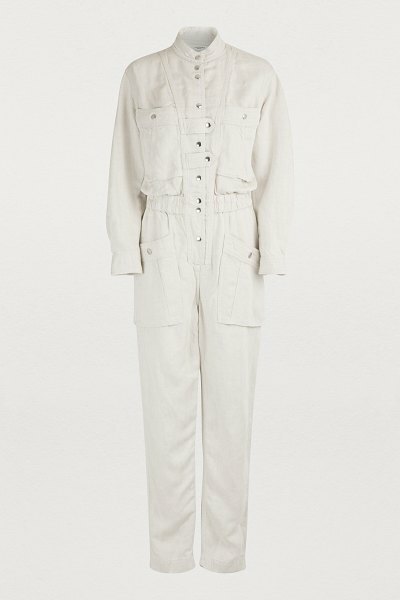 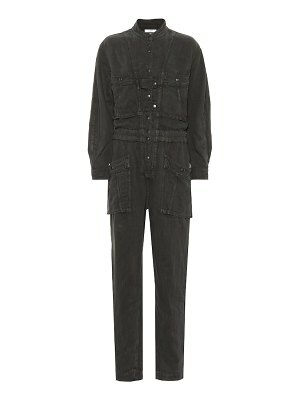 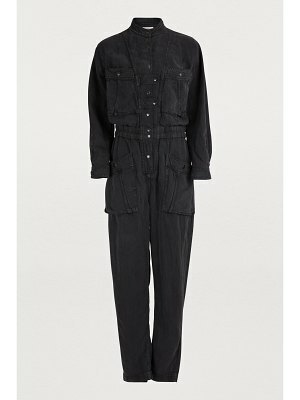 Isabel Marant Etoile is often inspired by workforce uniforms and has here explored workwear fashion to create the Lashay jumpsuit. 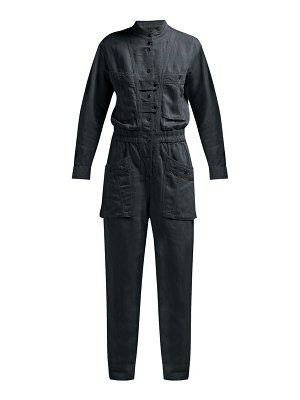 This piece stands out by its loose cut, large pockets, snap fasteners, and elastic belt that showcases your feminine curves. 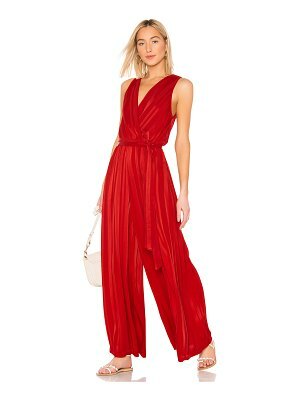 Pair this must-have jumpsuit with high-heeled boots to lengthen your figure.